Nifraz Rifaz loved reading as a child growing up in Sri Lanka. As an adult, he now writes his own stories featuring Sri Lankan characters. Nifraz facilitates workshops at each Galle Children's Festival. Nifraz believes this empowers local children, who are able to relate to characters that look like them. 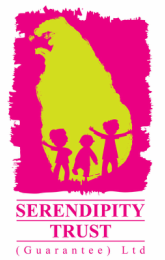 We join Nifraz at the Galle Children’s Festival, organised by the Serendipity Trust, where he is promoting English literacy among the next generation of Sri Lankans.